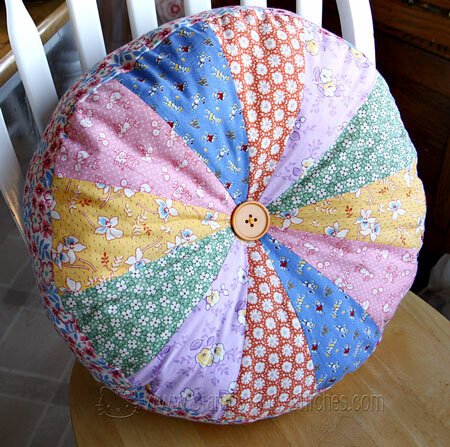 On the 23rd of December I suddenly decided to make my mother-in-law a pillow. I think mostly I was just in the mood for a quick easy project since I'd been working on a bigger one for so long (which is also done and will be posted in a few days after the recipient receives it). So I found this tutorial and it literally took me a few hours to get this done. I worked on it for a couple of hours on the night of the 23rd and a couple of hours on the afternoon of the 24th and it was so easy. The hardest part was finding my bag of poly fil. 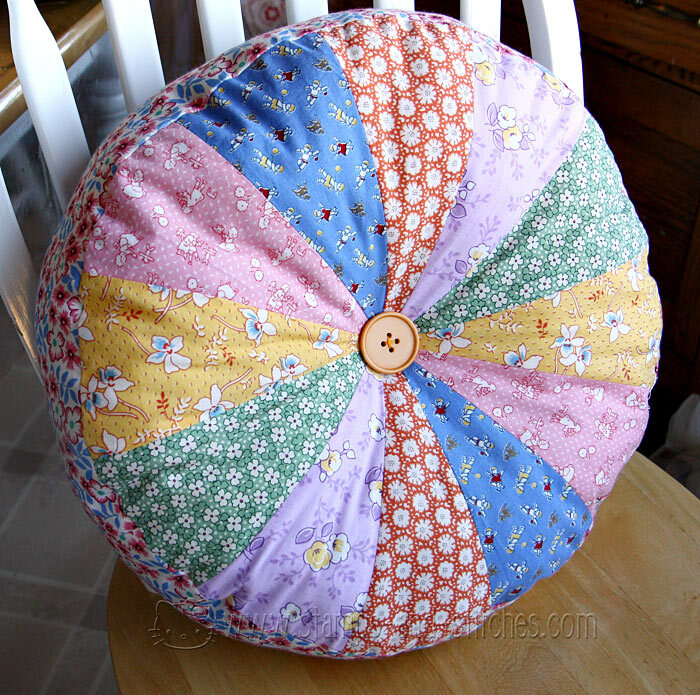 I used 30's fabrics from my stash and a big giant button from Stampin' Up.